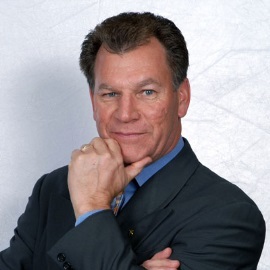 Meet Bruce Smith, founder and president of CALPRO Network Financial Services in San Diego, California. Smith’s clients include school districts, corporations and nonprofits, as well as employees. He especially enjoys helping employers provide high-quality retirement plan solutions while reducing administrative burdens and improving compliance. Smith and his representatives have used TRAK for over ten years and believe that TRAK separates and elevates them as retirement experts. For younger clients who need to get started, Smith uses TRAK’s Interest Calculator to illustrate the potential future value of a retirement account. “I like that TRAK lets me build a scenario of putting in $500 a month at 6% per year and then shows how much that investment could grow in 30, 40 and 50 years from now,” he explains. And for older clients who need to understand their options for distribution, TRAK illustrates how much clients can take out each month without running out of money.